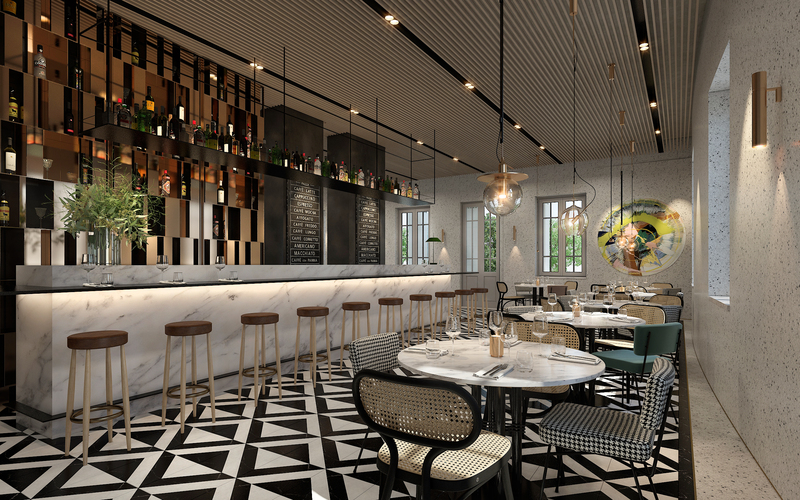 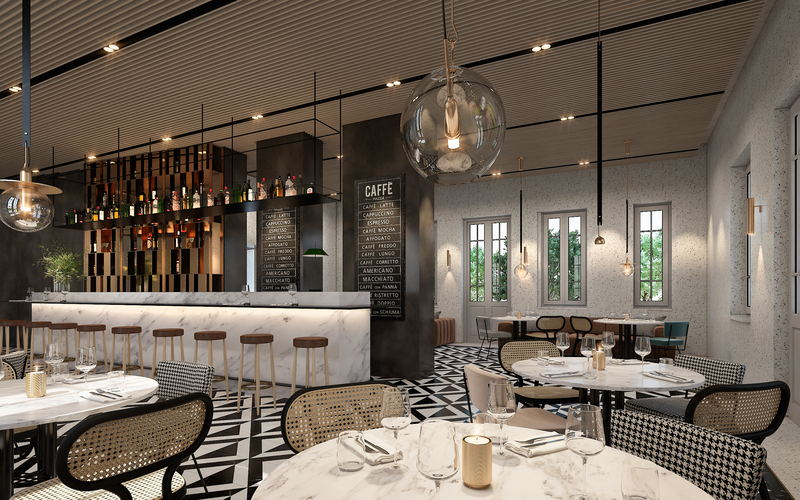 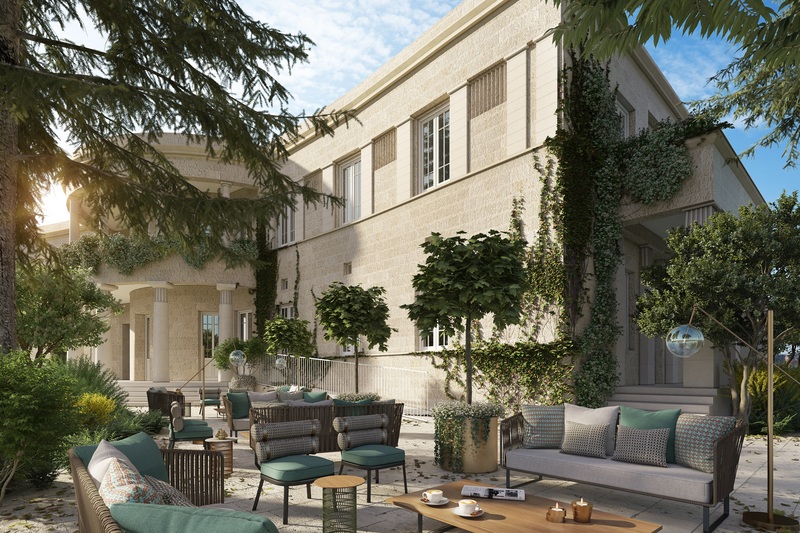 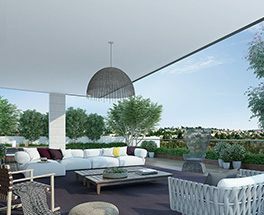 Facing the magnificent Jerusalem hills is Azorim Motza Elite - an icon of modern design, which takes into consideration its proximity to historic Jerusalem and its style. 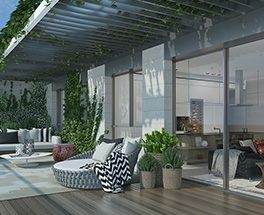 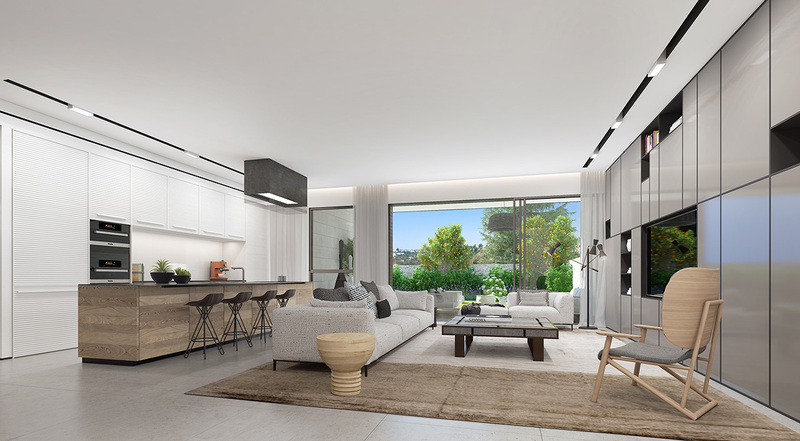 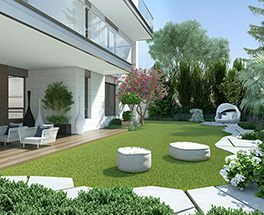 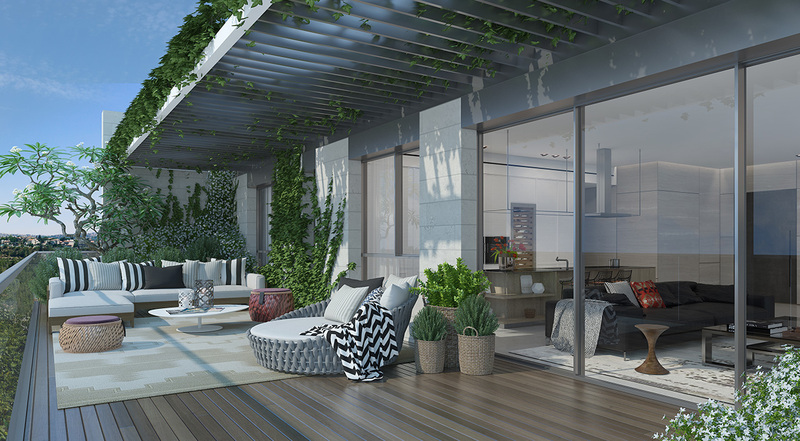 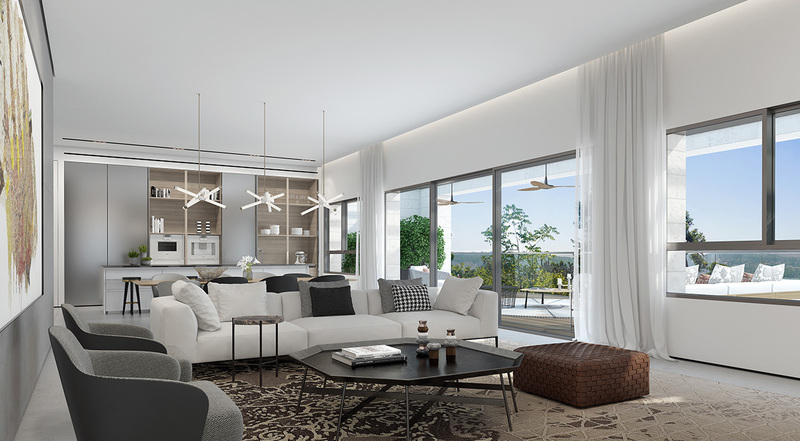 Meticulous planning brings the natural surroundings into the apartments' interior, either through lush gardens of the garden apartments, of large transparent facades that offer beautiful views. 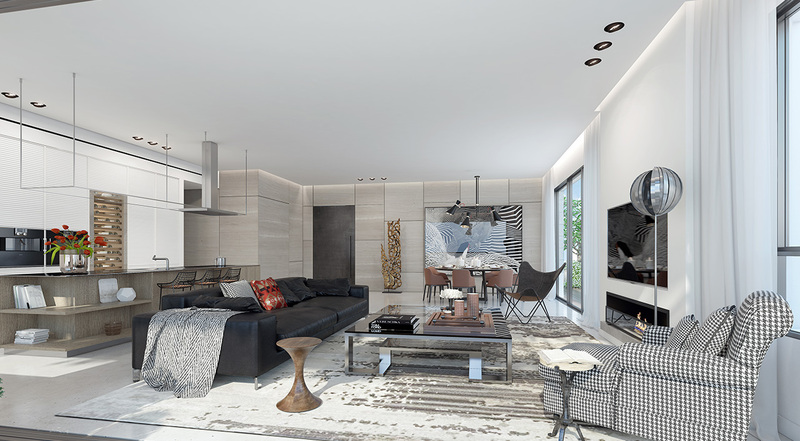 Modern interior design is generous and offers intimacy and total privacy. 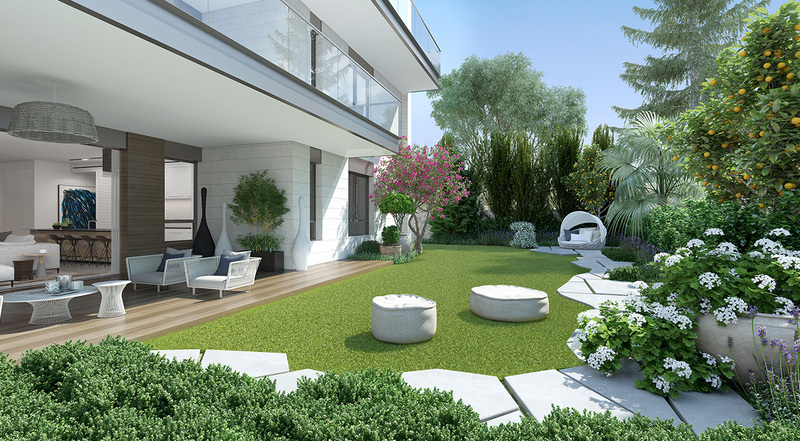 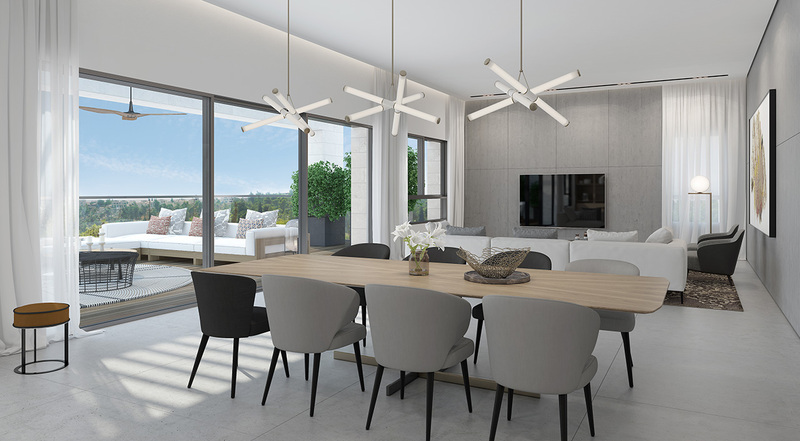 Azorim Motza Elite consist of two intimate residential complexes of 3 floors each, with only 2 apartments to a floor - garden apartments, mini-penthouses and penthouses. 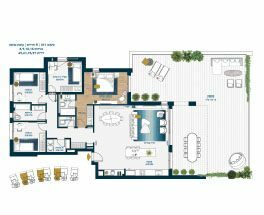 A private elevator connects all floors to the parking lot. 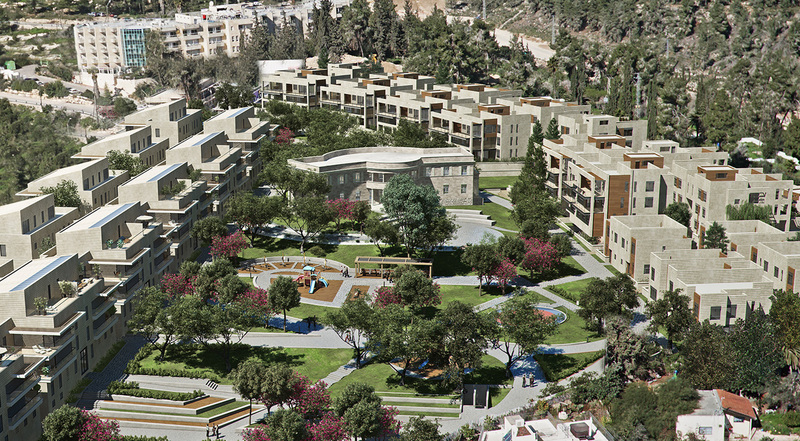 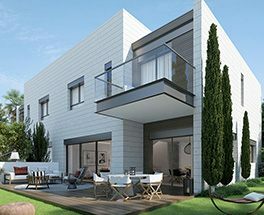 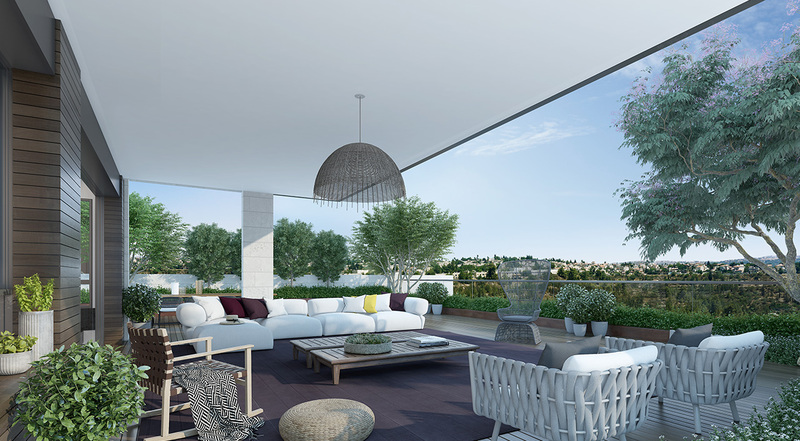 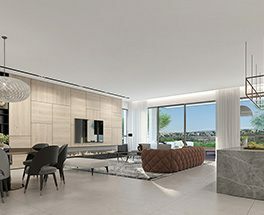 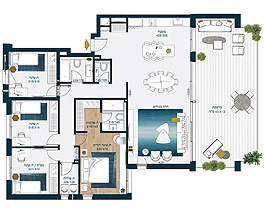 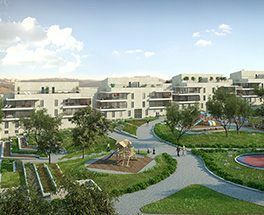 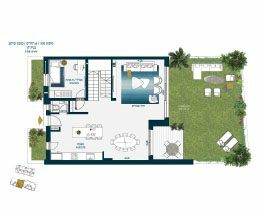 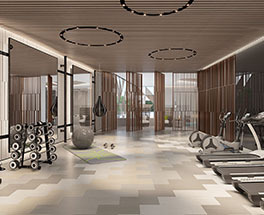 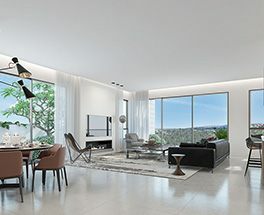 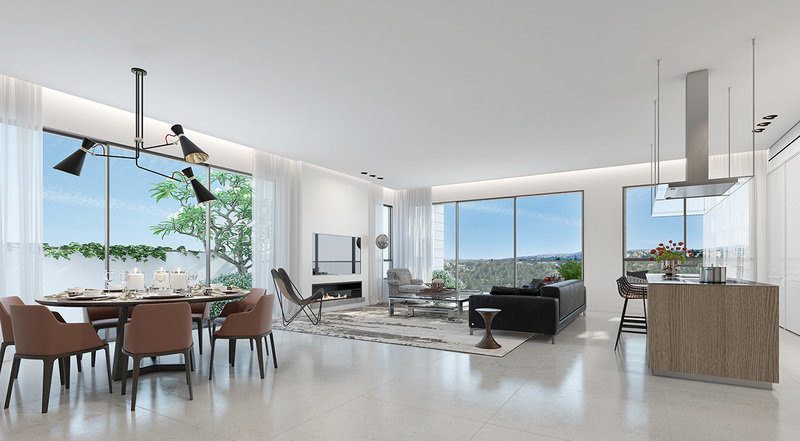 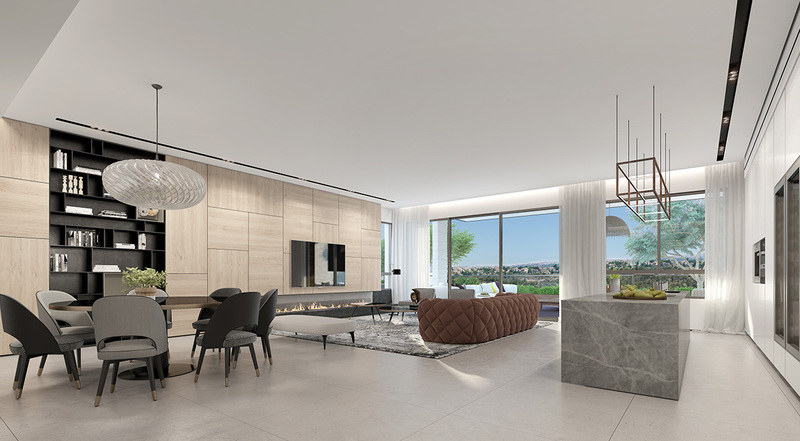 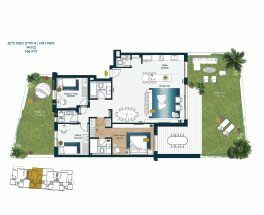 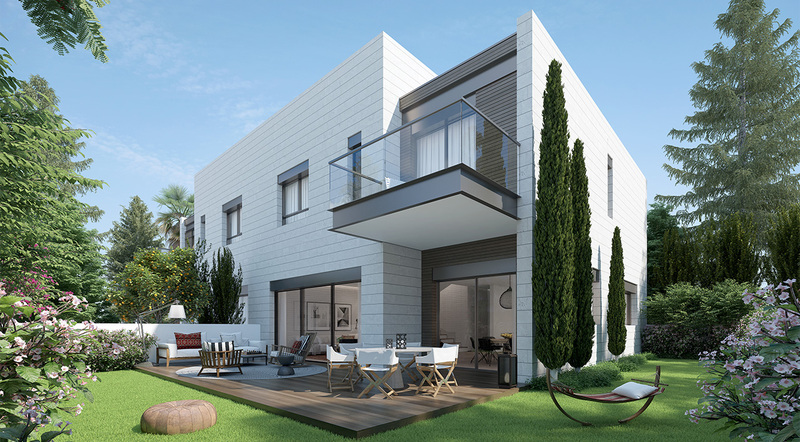 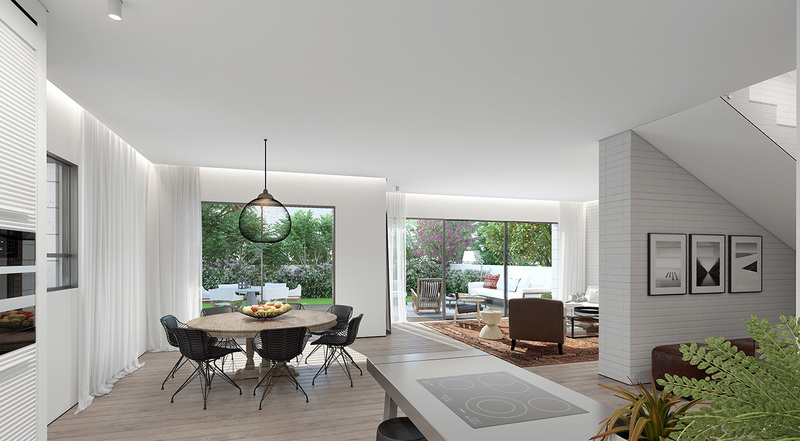 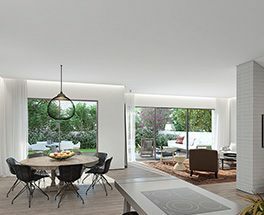 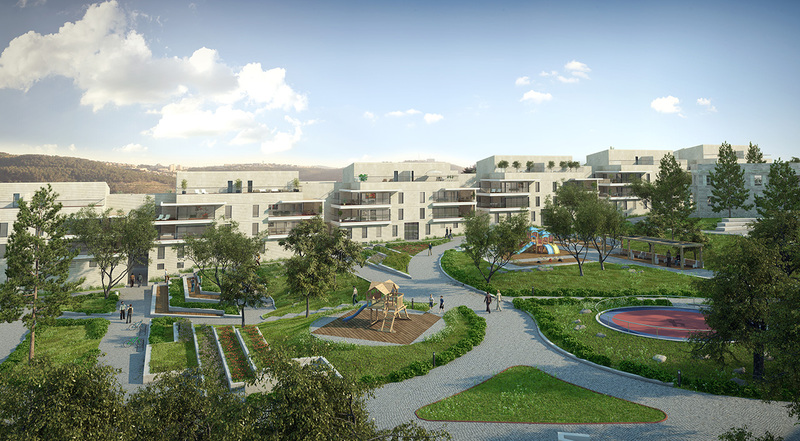 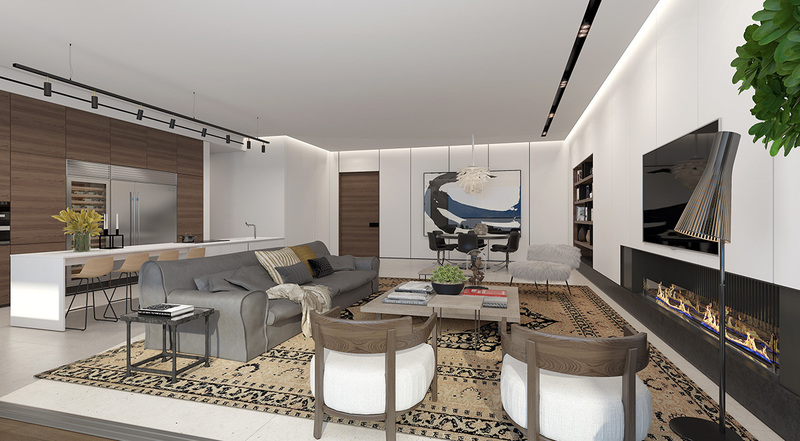 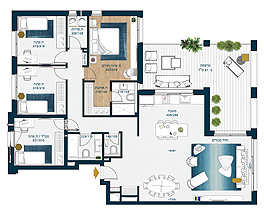 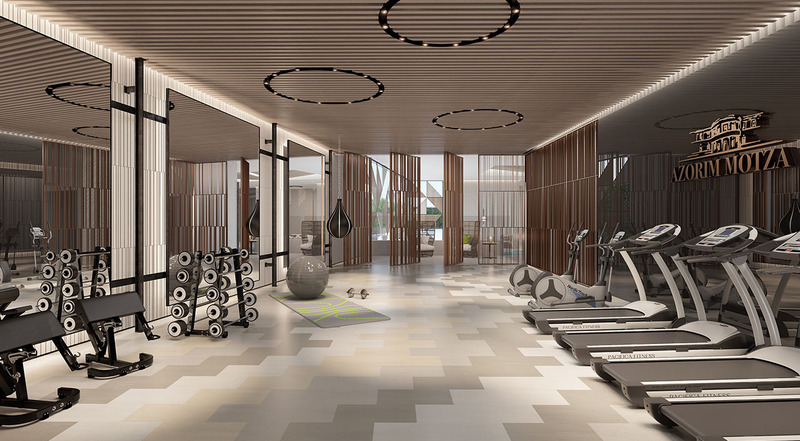 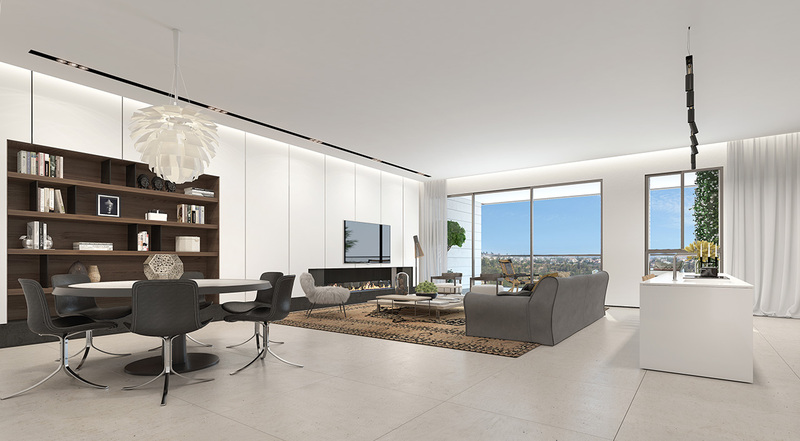 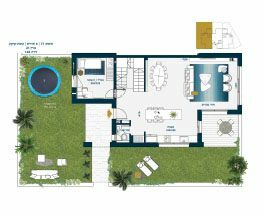 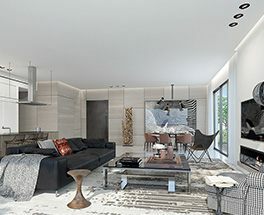 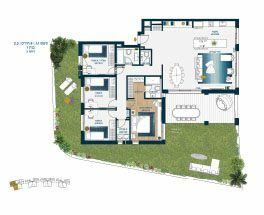 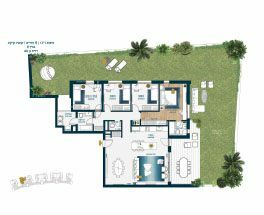 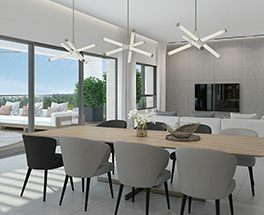 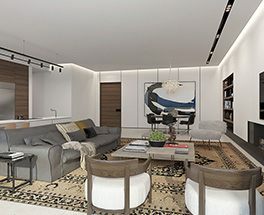 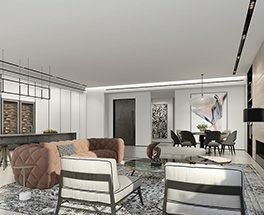 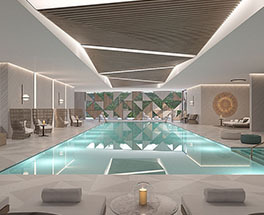 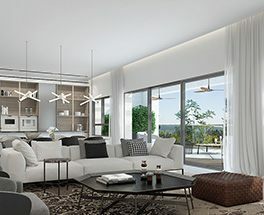 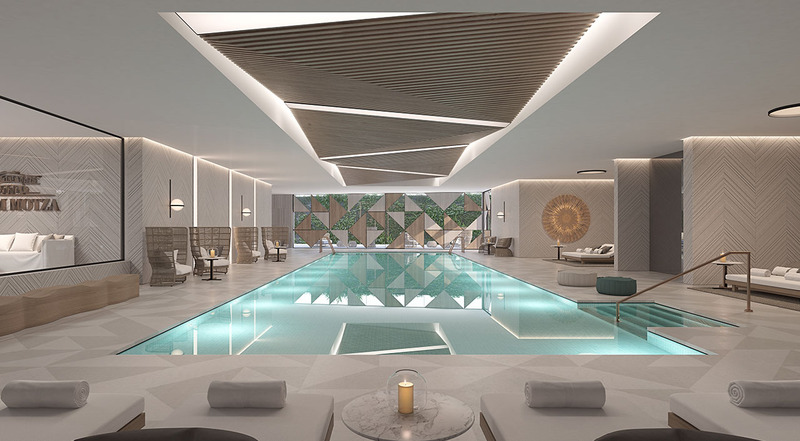 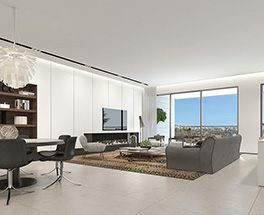 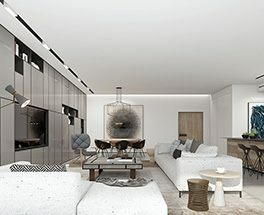 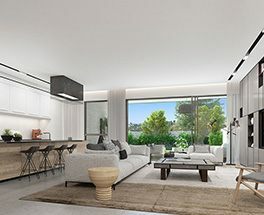 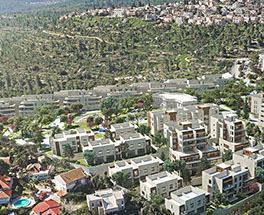 Azorim Motza Elite was designed to provide each resident with the feeling of a private home, surrounded by various community facilities such as a gym, pool and synagogue. 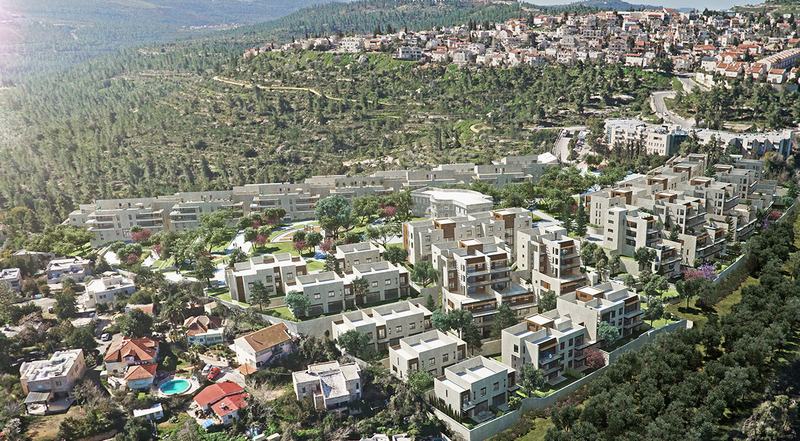 Sizes range from 140-180sqm, and all apartments have large balconies. 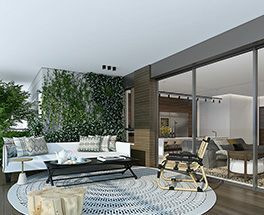 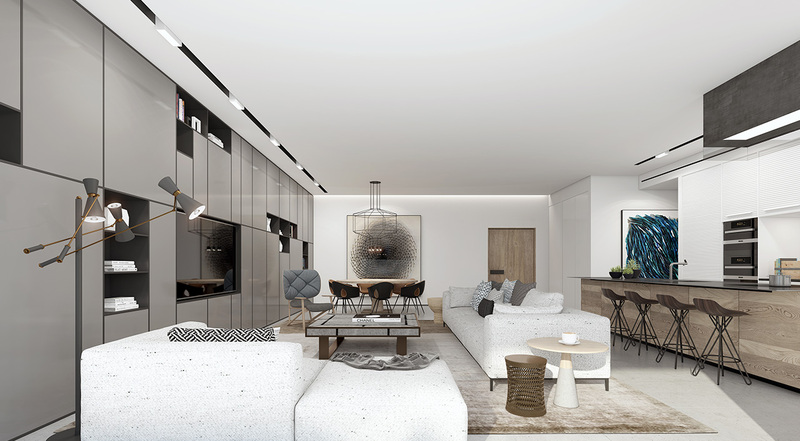 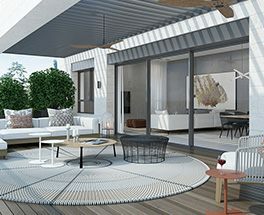 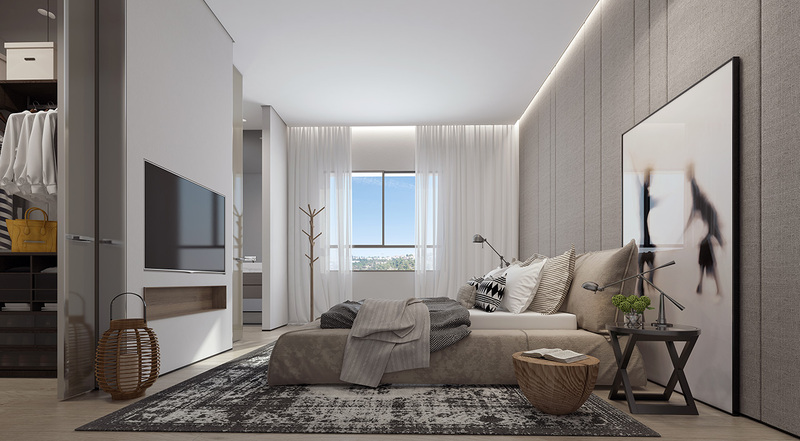 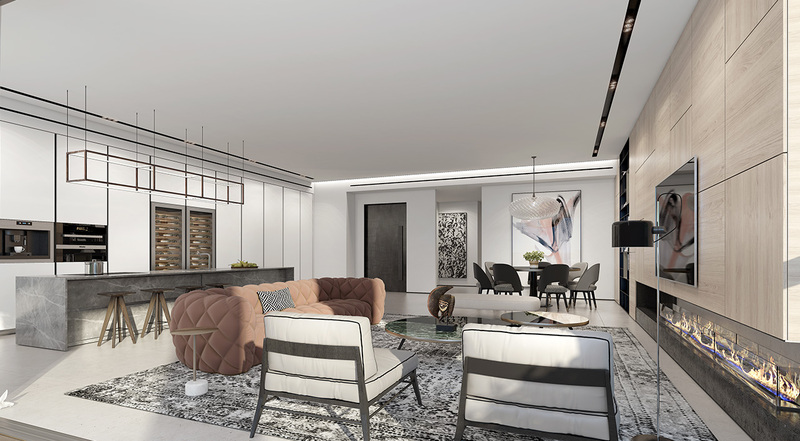 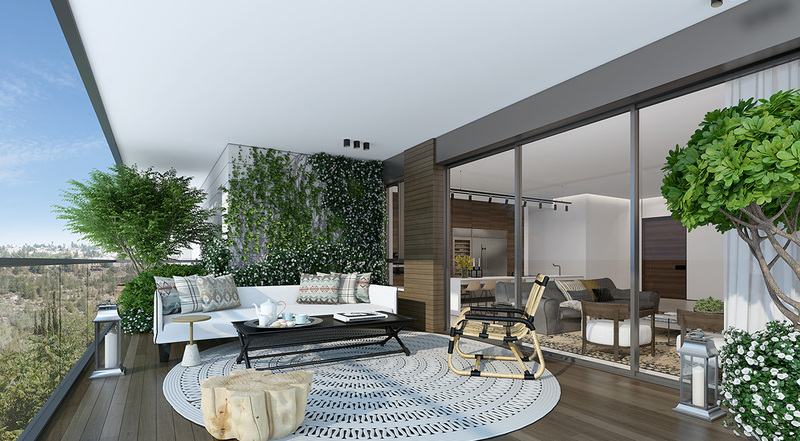 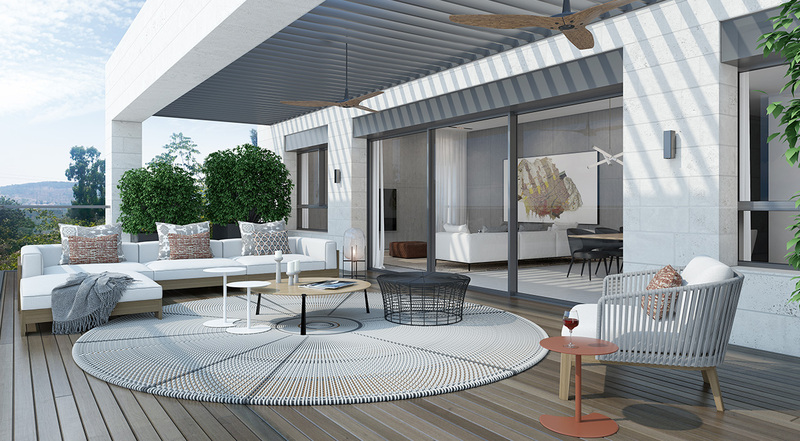 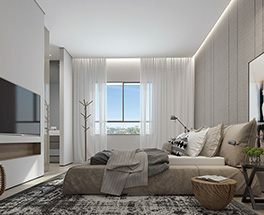 The garden apartments also have a private basement, the mini-penthouses come with a huge 30sqm balcony, and the penthouses include a gallery which divides the space into 2 floors. 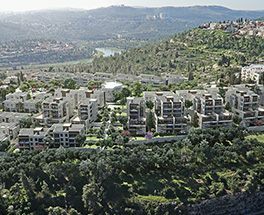 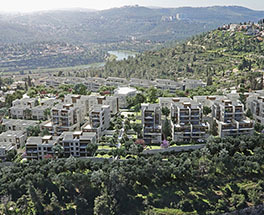 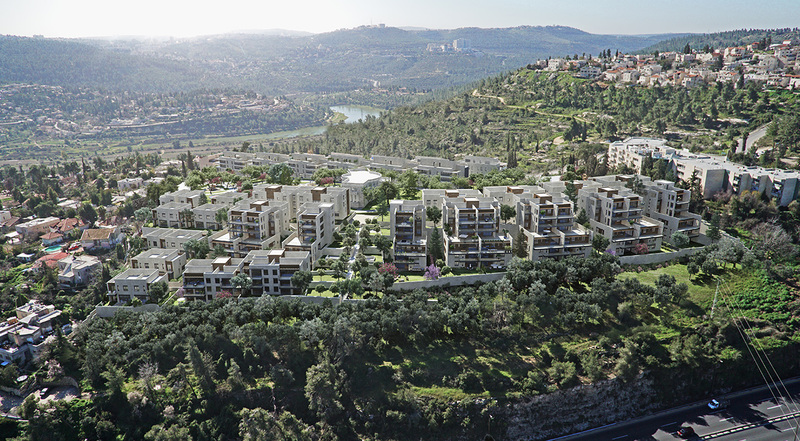 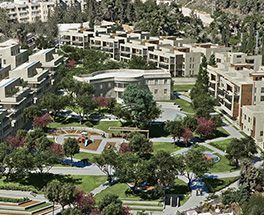 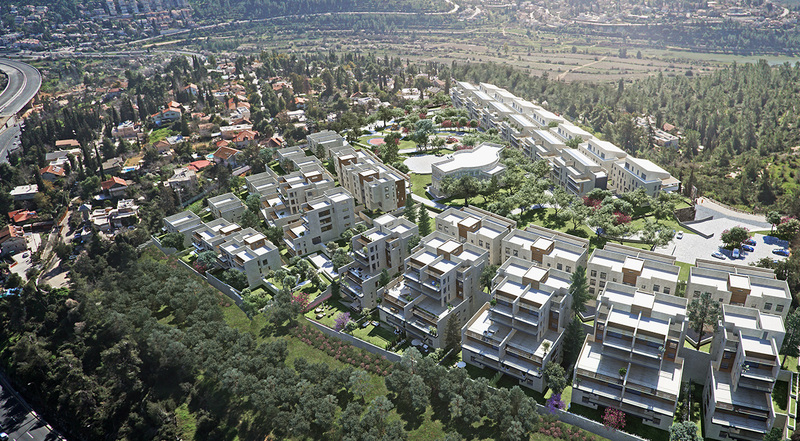 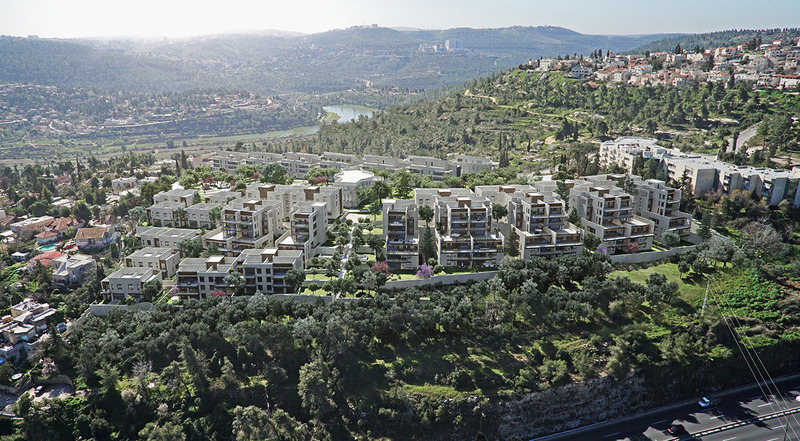 Azorim Motza Elite overlooks the tranquil neighborhood of Ein Kerem with its allies and churches, the Beit Zayit dam, the Har Nof, Givat Shaul and Romema neighborhoods, and especially the lovely rolling Jerusalem hills. 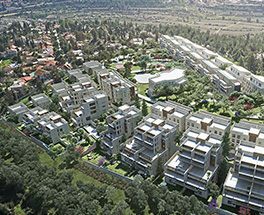 The inner side of the complex faces 7.5 acres of parks, with greenery and hidden paths meandering between ancient and new cedar trees.